The Alliance for Aging Research is the nation’s leading non-profit organization dedicated to supporting and accelerating the pace of medical discoveries to improve the universal human experience of aging and health. The Alliance believes that science can help people live longer, more productive lives. Recognizing that with a rapidly aging nation, policymakers are urgently searching for ways to curb health care spending, the Alliance created The Silver Book: Chronic Disease and Medical Innovation in an Aging Nation in order to promote national policies that will look to investments in innovation rather than short-term cost-cutting. Seeking to reduce the cost of care without investing in the research of prevention and treatment is sure to exacerbate future expenditures. 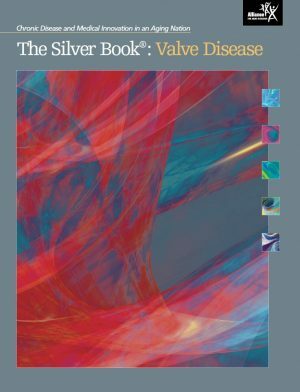 The Silver Book, launched in 2006, is an almanac of compelling statistics that bring together all of the most current data on chronic disease, all into one place, while spotlighting the promise of innovation in mitigating the burden of disease. The database currently houses thousands of free facts from hundreds of sources, and is continuously updated in order to bring the latest data to the fingertips of those shaping policy.